About 65 new Dunkin' Donuts restaurants are coming to the Dallas-Fort Worth area, according to plans the company announced Thursday. 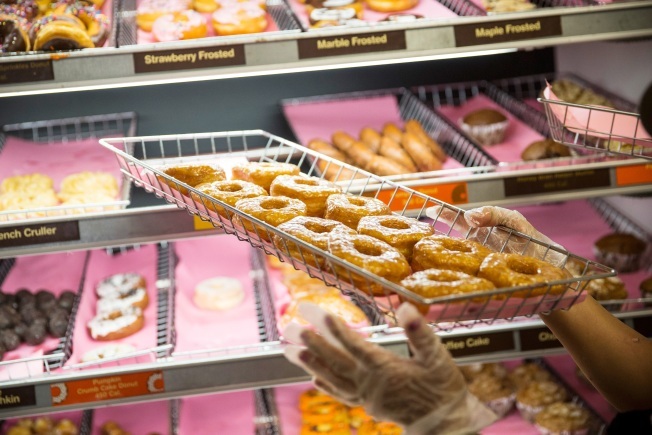 Right now, there are 35 Dunkin' Donuts locations in the Dallas-Fort Worth area. The plans include new restaurants in Dallas, Collin and Tarrant counties, the company said. Fans of the popular donut and coffee chain can expect to see the new locations starting next fall, but some of the new restaurants won't open until 2018. Dunkin' Donuts is owned by Canton, Massachusetts-based Dunkin' Brands Group Inc.